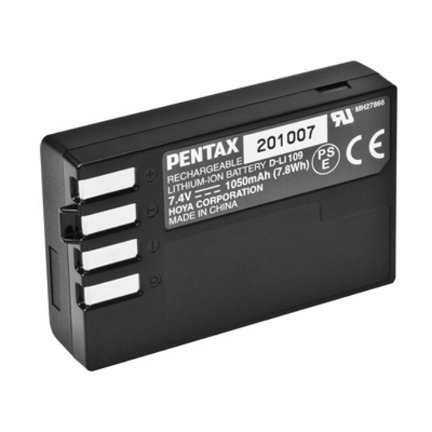 The is the Rechargeable Lithium-Ion Battery D-Li109 from Pentax for their KR digital SLR camera. The Pentax Rechargeable Lithium-Ion Battery D-Li109 is designed for the Pentax KR digital SLR camera. Small and lightweight, Lithium-ion batteries can be charged or discharged at any time without developing memory effects.